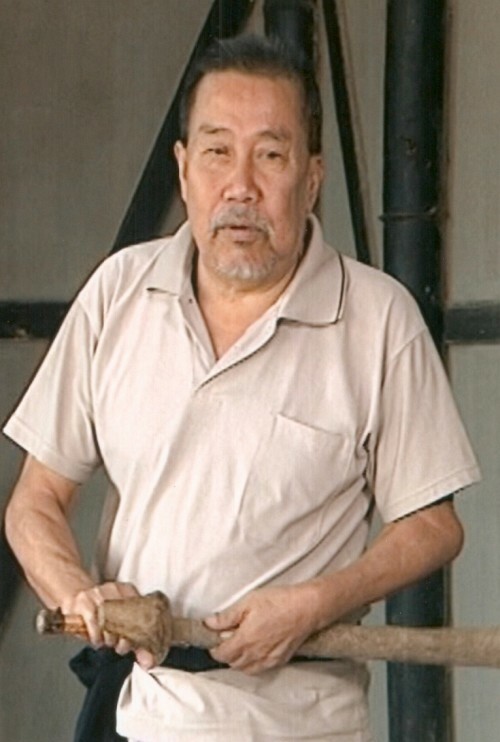 Shri Sinam Devabrata Singh was born in 1939 at Keishamthong Laishom Leirak, Imphal, son of late Sinam Krishnamohan. Shri Devabrata Singh started learning Thang-ta from his maternal uncle at 12 years of age. Subsequently, he received training in Thang-ta from many distinguished Gurus in the field of Thang-Ta such as late L. Ibungohal Singh, Paonam Tonsana Singh (Youngest son of Paona Brajabashi, hero of Anglo Manipuri War of Khongjom), P. Manikchand Singh and Padmashri N. Khelchandra Singh. Over the last five decades, Shri Devabrata Singh has dedicated himself entirely for popularizing the art of Thang-Ta. He represents the "Paona" style of Thang-ta, which is named after Paona Brajabasi, the legendary hero of the Anglo-Manipuri War of 1891, but also is proficient in other styles such as Poila (Ningthoukhongja Poila). In 1977 Shri Devabrata Singh founded the HULA Sindamsang, a research and training institute of Martial Arts, the first school to unite the collective knowledge of many diverse branches of Thang-Ta. "HULA" is a combination of HUyen LAllong, indicating that the curriculum includes not just martial arts, but health, culture, healing and spiritual arts. Shri Devabrata Singh invited the Gurus of other schools to participate in his effort to preserve this knowledge of HULA for future generations. During this time, Shri Devabrata Singh continued to develop his skill and knowledge in various ways. For example, he traveled from village to village studying Mukna. He learned from such renowned masters as Ojah Dulopmacha of Kumbi and Ojah Ibetombi of Toubul. In summer 1980, Sensei Moses Tilak (who passed away in 2004 at Madras - Chennai) visited Imphal during the National Karate Championship and was inspired to do research and study Kalarippayat and Silambam (the native martial arts of his home region, Kerala ) after meeting with Guru Devabrata Singh. Guru Devabrata is the first teacher to demonstrate Thang-Ta at the international level, at the Indian Culture Centre at Cheiri, Italy in 1988, and at the Festival of India in China 1994. His school participated in Festival of India in U.K. 1985, in France 1985, Festival of India in U.S.A. in 1986, International Seminar on Theatre, Dance and Martial Arts at Calcutta in 1987 (the first of its kind), in the Festival of India at Sweden 1987 and Germany 1991 and Festival of India at China in 1994. In the Calcutta Seminar (1987) he taught a week-long workshop with such prestigious attendees as Sensei Henry Smith, Dr Michael Malisweski, Prof Dwight Tatsko and Prof Andrew Tsubaki (Sensei 5th dan Joudan Ki who passed away December 2009) . His student participated in the World Conference of Martial Arts at Washington in 1997, at the prestigious International Workshop Festival "Way of the Warrior" at U.K. and Germany 1998 and Festival of Cervantes in Mexico, Venezuela and Argentina etc. Four selected student artistes of Guru Devabrata also participated at the 8th International Theatre Festival, Germany in 1999. One of his senior-most students founded the "North American Thang-Ta Association", by affiliating to the HULA SINDAMSANG, Imphal, since May 1998 and is now in charge of the said school as the Head Instructor. 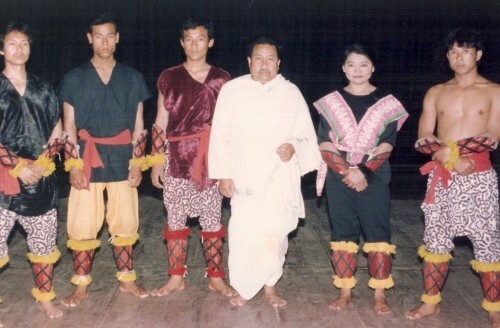 The Indira Gandhi National Centre for the Arts, Janpath, New Delhi, entrusted Shri Devabrata Singh for a Research Project on "Thang-Ta" the Martial Arts of Manipur in 1992. The outcome of the said project had already been submitted to the IGNCA in the form of a voluminous monograph. Shri Devabrata Singh was nominated as member of the Manipur State Kala Akademi's General Council from April 1996 to March, 2003. Shri Devabrata Singh was also nominated as a member of the North East Zone Cultural Centre, Dimapur from April 1999 for a term of three years. He has also been acting as an expert committee member in the field of Thang-Ta, for the Ministry of Tourism and Culture, Department of Culture and the Manipur State Kala Akademi for more than a decade. Last but not the least Shri Devabrata Singh was given privilege of composing for a group display of Thang-Ta for the 5th National Games Closing Ceremony, held at Imphal in February, 1999. He continues to research in the lesser known aspects of the art under the guidance of the renowned expert Padmashree N. Khalchandra Singh. He has also participated in Manipuri Films and Theatre as Thang-Ta expert. Shri Devabrata Singh received the prestigious Sangeet Natak Akademi Award for his contribution to Thang-Ta in the international stage in the year 1992. 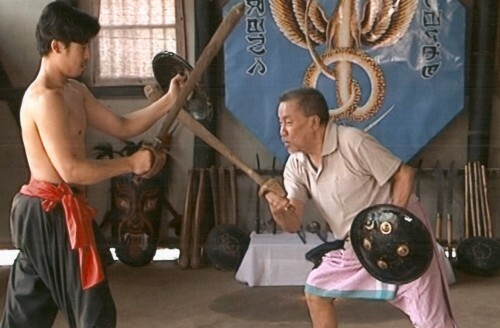 Now, despite health problems he is still thinking about the future of Thang-Ta and preparing a book on Thang-Ta namely "Huyen Lallong"-The Martial Art of Manipur for the younger generation. * Donny Meisnam Luwang is a young Manipuri writer / reporter based at Imphal. He is a regular contributor to e-pao.net. This article was webcasted at e-pao.net on 01 June 2010.